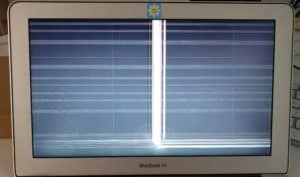 A common presentation of LCD damage is vertical and horizontal colored lines covering the screen. The background on this screen is a solid black, but you can see many bands of white and colors crisscrossing the display. It almost looks like a plaid pattern on the MacBook Air screen. If you look closely, you can also see a mark near the bottom of the display near the MacBook Air logo where the impact was likely concentrated. 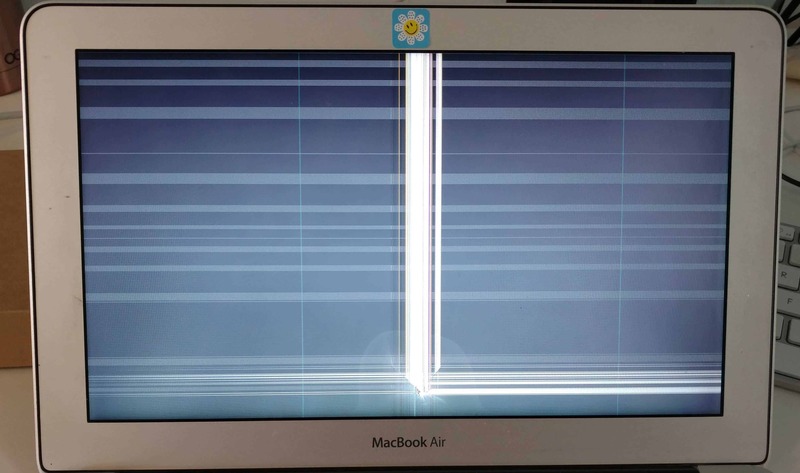 This 11 inch MacBook took a direct hit from a television remote to the front of the screen. Ouch!